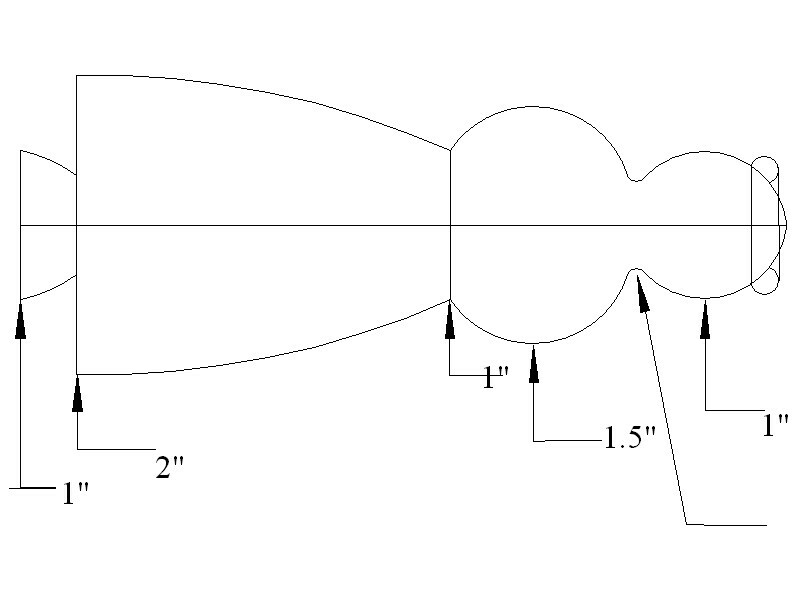 I've had a couple of requests for dimensioned and/or real size patterns, so here they are. I suggest right click on the drawing, "Save as" jpg's to your PC, and print them out. The Angel wing. Should be 3-7/8" diameter when printed full size. The dimensioned Angel body. All measurements are diameters in inches. A homemade reducer for the 4-Jaw chuck. It's PVC pipe with a wood insert. Note: Plywood collets would work a lot better. Cut a section of 2" PVC pipe a little over 3/4" long. Turn a 3/4" thick wood disk to fit in the PVC, and glue in place with polyurethane glue. When the glue cures, mount the jig in your 4 jaw chuck and drill a 3/4" hole through it. Remove from the chuck and cut on your bandsaw as shown in the picture. 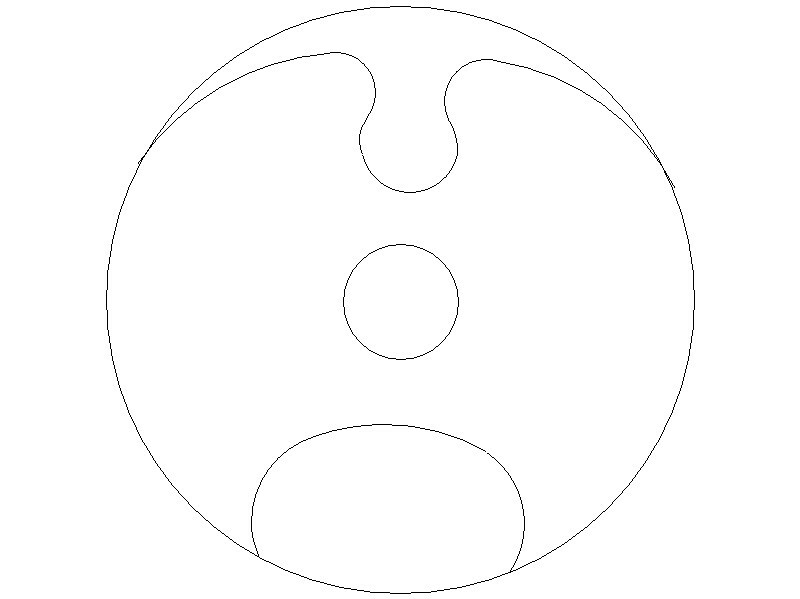 Divide the wooden disk into thirds by radial lines. Cut to the center following one radial line. Then cut only to the PVC on the other two radial lines. To use, just snap the jig around the wing tenon, then clamp in the 4-jaw chuck.